LOS ANGELES (AP) — The new president of the University of Southern California said she wants to be a part of “fixing” the school following a series of high-profile scandals including the massive college admissions bribery case that broke last week. 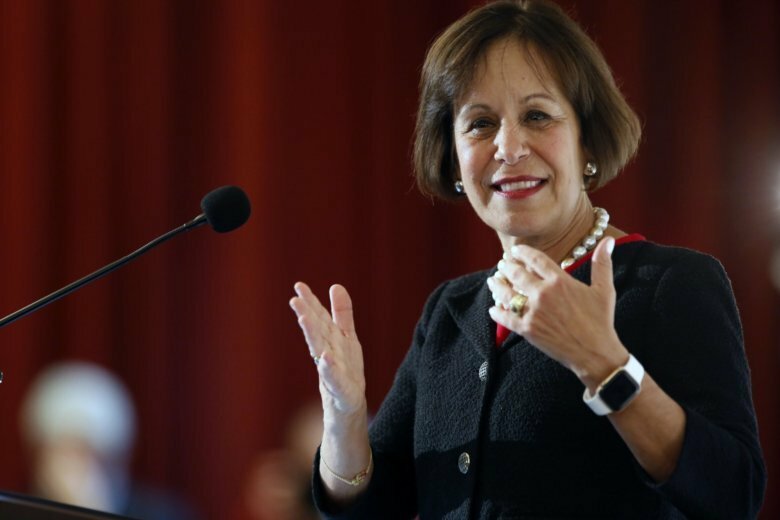 Carol Folt, a biologist and former chancellor of the University of North Carolina at Chapel Hill, will become USC’s 12th president and the first permanent female president in school history, the board of trustees announced Wednesday. Her first day on the job will be July 1. Folt said she was horrified to learn of the bribery scheme, which involved wealthy parents paying to have a college counselor rig standardized tests or get their children admitted as recruits of sports they didn’t play. But it didn’t give her pause about taking on the position. She’ll have her work cut out for her, said Roger Sloboda, a biology professor at Dartmouth College in New Hampshire, where Folt started her academic career and spent three decades. “She is a scientist and she’ll look at the data, figure out what happened and how to fix it,” he said. Folt was forced out early from the job in January amid a controversy over a Confederate statue known as “Silent Sam” that was torn down on campus. Graduate student Myla Bastien called for transparency and honesty. “I think that if USC just owns it, and then comes up with a plan to prevent it from happening in the future, that would be helpful,” she said.